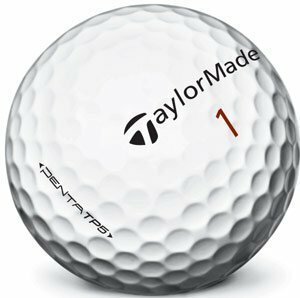 ITR is back with an all new episode this week as we talk with TaylorMade Golf about the 2012 line of golf balls. Explain the words soft & spin as it relates to the golf ball. Join us for this episode of In the Rough w/ JB & GolferGal and let us know your thoughts. You can listen by clicking play right below, or download our episodes to play at a later date. Great program JB, the explaination of the Penta TP 3 name was very interesting as I too thought that was a pretty strange name for a 3 piece ball. The RBZ & TP 3 are on my “to try” list this year as I am a player who could use more spin coupled with distance. I did not know that “soft” golf balls were lower spinning than the “tour” balls, it makes perfect sense, but it had not dawned on me before. Thank you to Dean for sharing so much great information with us. For starters, thanks to Dean with TaylorMade golf for being on the show! I gotta admit, I really like what I heard from Dean in his description of the RBZ ball. Sounds like a “better” ball in a lower price range which all of us appreciate I believe. Maximum distance with more spin is great sounding as they typically don’t go hand in hand. Very interesting discussion in comparing the TP3 & TP5 and explaining why they were designed a specific way and what the benefits are. Really is amazing to hear all of the technology/thought that goes into golf ball designs. Layers vs hardness or softness determining spin……very interesting. Summary tells me that the TP5 is about the same as the Penta TP and TP3 provides more spin than the TP5. That quick summary was good to hear as I am a fan of the Penta TP from last year but the TP5 will drop the spin on the driver & 3 wood shots. Very, very informative show. Excellent job with the questions JB and thanks again to Dean! Great show! A ton of useful information for us there, and very interesting to hear how the Penta name came about. I like most people, assumed it was named Penta as it was a 5 piece ball. Really liked the info on the RBZ ball, seems as if TM spent a lot of time working on this one, and for a lower price point sounds as if it will be a great performer. Really liked the discussion of testing out a ball, starting out at greenside then working your way back to driver, definitely will keep that in mind next time I am trying out a ball. Thanks for the great show! AMAZING show! So much fantastic info especially on the RBZ line and the differences between the two Pentas. I also loved hearing the little bit about the naming of the Penta line. That part on soft vs. feel was absurdly informative as well! I am so much smarter after hearing this! Thanks for doing the show JB and thanks for coming on Dean! Great show!!! answered so many questions. very very informative!!!! Thanks to Dean for all the great information. It was all pretty hard to absorb in one shot, so I kept finding myself backing up and listening over and over. I personally expected the TP5 to be virtually the same old Penta, but if anything the TP3 is closer to the original in greenside character. Sounds like 3 new balls to get out there for some side by side, but the TP3 will likely get the starting roll for me. Great show. Maybe the best yet! I’ve recently played the Penta a few times and keep finding more and more things that I like about it. I hope that TM has a good plan to bring these to market. Obviously the show here is a great start, but it sounds like they have a really good approach to what they want to do…but if the average golfer doesn’t know the difference it’s all for naught. Personally, I’m pretty excited to try out the TP3 and TP5. Thanks TaylorMade, Dean and JB for a very informative show! Look forward to trying out the two new Pentas to which suits my game best. I can’t wait to listen to this! The current Penta is my favorite ball of all time and I have been so excited ever since I heard about eh TP5 and TP3. I will be buying them the first day they are available. What a great show! I am amazed of how much I just learned about the golf ball. I am highly interested in the TP3. That sounds like a great ball. I really want to try the RBZ ball too. It sounds really long! Thanks so much for such a great show and information. I really did learn a lot today. I just download this to my mp3 so that I can listen to this a couple of times. Don’t wish to miss anything about these balls. I am very excited about TM’s golf line this year. Ready to try them all. Thanks THP for bringing us this show. I enjoyed this show to the max and learned a ton of good info. I plan on trying the TP3 and the RBZ as both really have my attention. Thanks JB & Dean for educating us on golf ball technology which will make all of us better players! Another amazing show from THP. Big thanks to Dean from TaylorMade for bringing the knowledge and really doing an awesome job of explaining all 3 balls. Loved listening to that. Dean was very straightforward and answered every question, even without JB having to ask in some cases! I had many questions about the TP3 and TP5, and now I have all the answers. The explanation of how they designed the differences in TP3 and TP5 was great and made perfect sense. Dean did a great job of pointing out the different conditions and I bet everyone listening felt like they went through a ball fitting in their head there and then!! Really looking forward to trying these balls out, now that I know what I should expect to see. Great show JB. Looking forward to warmer weather to give the new TM balls a go on the course. This was a very good show. I was very impressed with Deans knowledge and some of the information he shared. I found what he said about the balls Penta TP5 vs TP3 vs RBZ to be enlightening. And love to hear how they work with someone like Sergio to find what works best for him. Very very informative show. I forwarded this to all of my golf partners because the marketing seems to get in the way of the truth. So nice to hear it from the source. A most useful show, thanks. I will have to listen again though. All my questions were answered except maybe how each of the balls come off the putter face, feel and sound. Overall, excellent program, now I know more about the new TM balls than Titleist balls which I have played for years. What a AWESOME show this was. Thanks Dean for all the great information and JB for the great questions. I really would like to try the TP5 and TP3 as I wasnt a huge fan of the Penta, its a good ball there was just better out there for me. Great commentary of the new line of golf balls from Taylormade. As a mini-tour player I currently play both the TP5 and the TP3 depending on the conditions of the course that day. For additional commentary, I met one of the golf ball designers at the PGA show in Orlando last month, and the Penta TP3 is identical in characteristics to the Pro V1 from Titleist. This is incredibly informative and I’ll be pushing my readers to this article. Thanks for posting it. What is disappointing to me, is that these golf balls aren’t made in the USA anymore…at least not the entire ball. I believe I saw on their packaging that the majority of it was made in…Korea? Now, that may not matter anything to you, but it matters to me. But if it is important to you, well…now you know. Man that cleared up my thought on picking between the 2. I got last years penta and guess the TP5 is still my ball. Great interview. Great information. Sounds like TP3 is right for me – have to give them a try. It was terrific explanation even if My native language is french. I really understand why I was surprise from the TP 5 reaction near by the pin! – Par 3 with a 6 iron: Ill take TP3 and do not increase my spin on my swing. But if the wind is important I will prefer taking a TP 5 and increase spin in my swing. – Par 5: Ill take TP 5 to increase distance because of less spin. – Strategic Par 4 and Par 5: I do prefer taking the RBZ to be 100% on my distance focus and take care of the narural spin of the ball when I’m closed to the pin.